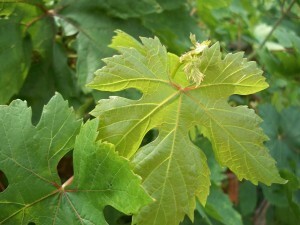 Brining grape leaves is best done in the spring or early summer when the leaves are more supple. These leaves are used to make a Greek dish called dolmades and can also be used as a decorative accent under cheeses. They have an earthy, salty taste that is complementary to savory foods. First pick your leaves, wash them and put them in stacks of about ten leaves. 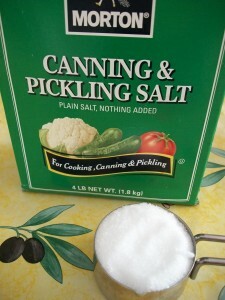 Next make up your brining solution with 1/4 cup brining salt to 4 cups of water and 2 1/2 teaspoons of citric acid. 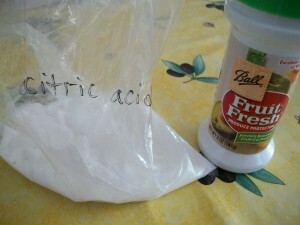 The citric acid is important to acidify the brining solution and prevent botulism. 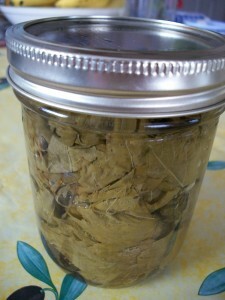 Once your brining solution has simmered for at least five minutes pack the stacked and rolled leaves in a sterile jar and fill to within 1/2 inch of the top of the jar. Process in a boiling water bath for 15 minutes.